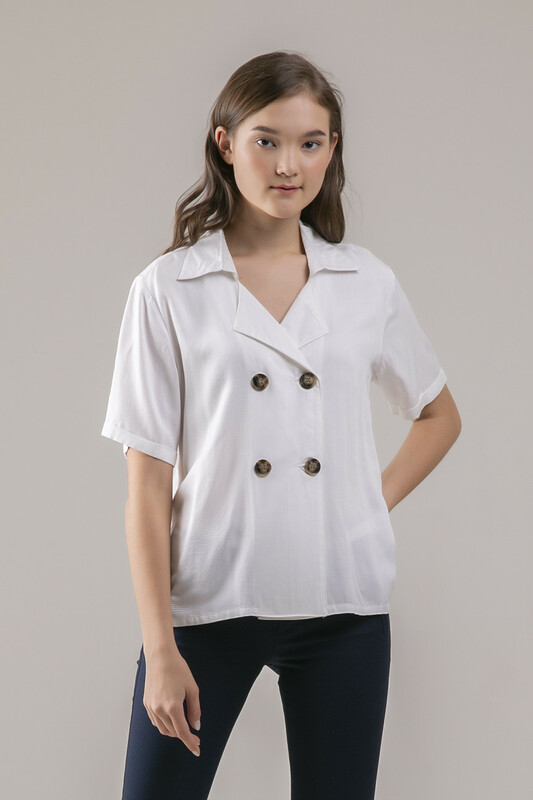 A double-breasted loose boxy shirt with tailored collar and a set of cute tortoise buttons. Made of a very flowy fabric that feels so soft against your skin. Perfect for work or your tropical vacation!